The latest from the workshop of the illustrious Bob Holo. 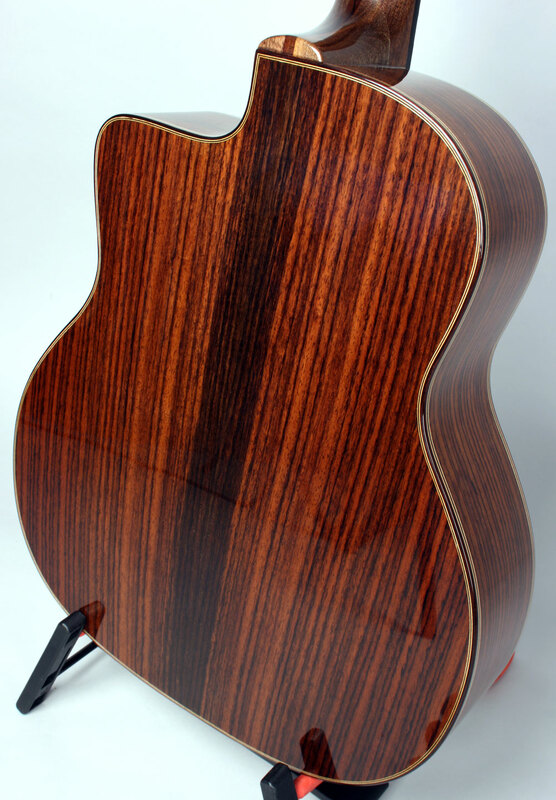 Features a gorgeous cedar top! 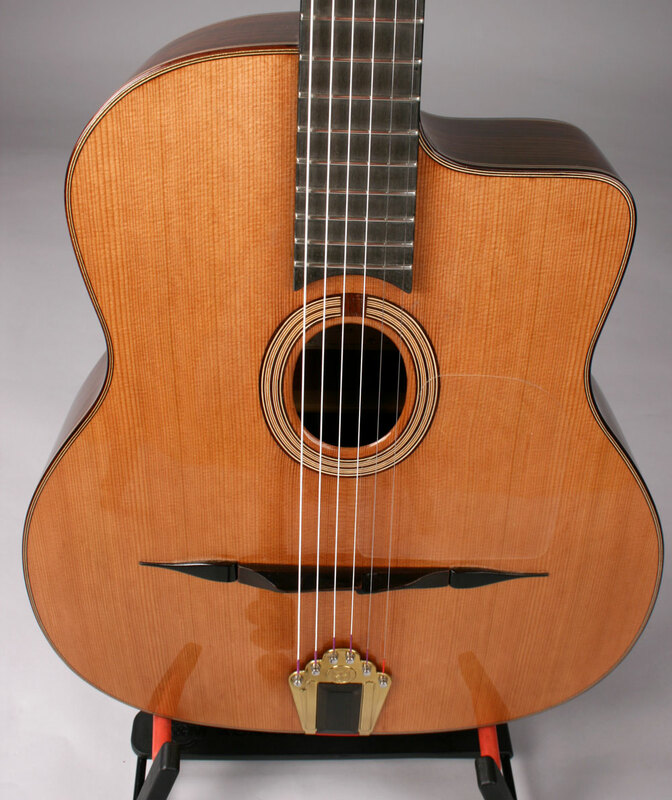 This is Bob's Modele Nouveau which is played by Alfonso Ponticelli and Mathieu Chatelain. The body is standard Selmer size (15 3/4") and the scale is 670mm. This guitar is impossibly light at 3.85lbs! Most Duponts are around 4lbs, Dell Artes around 4.5 lbs. 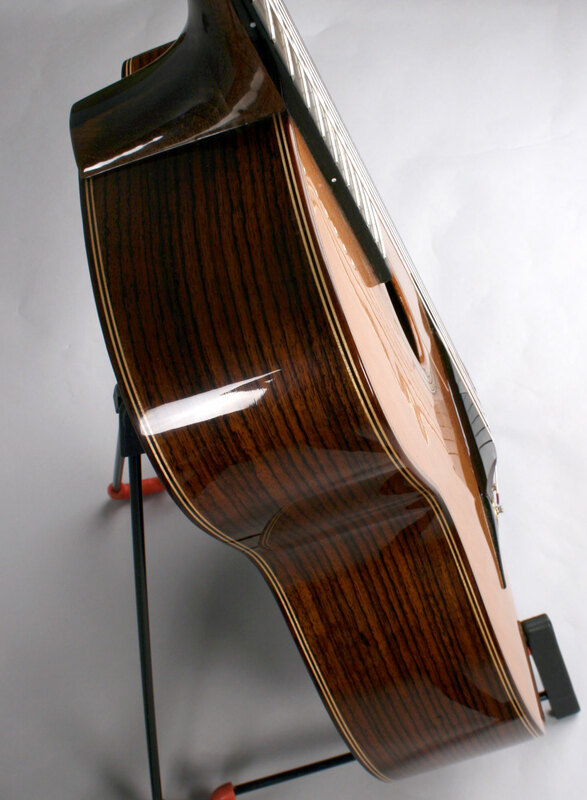 The top is made from aged redwood, back and sides are highly figured cocobolo, and the neck is black walnut with a Busato style rosewood spline. There is no truss rod, but the neck is reinforced with carbon strips which will keep it eternally straight. The fingerboard is made of rosewood. The interior is laquered in the tradition of the original Selmers. 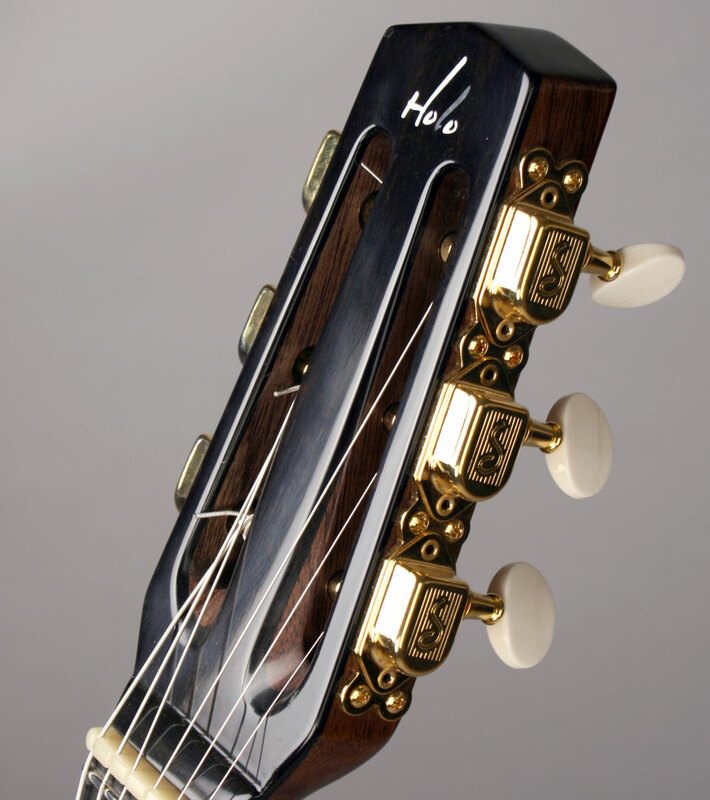 The Rosewood bridge is a new compensated design....looks really cool and does a great job intonating the guitar. This guitar is blessed with a wonderfully open, yet poignant tone. Although not a Busato copy, it has a dash of Busato like definition, especially noticeable when playing single note passages. The frequency response has been tuned as such to allow for nice bass depth and crispy highs that don't get overwhelmed by an overly active midrange. Consequently, chords have a nice low end kick that you feel in your gut while leads remain crisp and clear. It is qualities like these that have made Bob's Modele Nouveau the favorite choice of so many of today's young virtuosos.